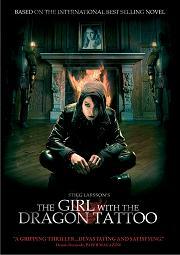 Almost three years after the release of the Swedish adaptation of the first installment in Stieg Larsson's Millennium Trilogy David Fincher released his reading of The Girl with the Dragon Tattoo in the late 2011. 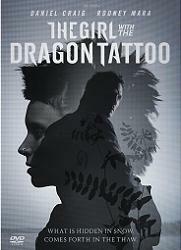 Both versions share a lot of similarities as based on a same novel and the story is pretty much the same: Lisbeth Salander is a computer hacker with a dark and obscure past, Mikael Blomkvist is a journalist in the investigative magazine Millennium, Mikael is hired to investigate the disappearance of a young woman forty years ago and Lisbeth is involved to help him. The overall quality of the two releases is also at a similar level and each of them deserves a high rating. However, there are a few differences and I am going to list some of them below in case somebody prefers seeing just one of the two movies. The American release stars more famous actors (Daniel Craig, Rooney Mara, Christopher Plummer and Robin Wright to name a few), which is to be expected considering their Hollywood background. This does not necessarily mean the acting in Fincher's version is better though. Both casts do quite a good job. In fact, the Swedish cast has a small natural advantage in terms of making the performances more authentic. It is hard to surpass Noomi Rapace's and Michael Nyqvist's rendering of Lisbeth Salanader and Mikael Blomkvist cause once seen their appearance identifies the actors with the characters. The US rendition saves some of the violence and unpleasantness of the Scandinavian release. This is not surprising for it often happens in American films. In this case, David Fincher represents Lisbeth and her mentor Nils Bjurman softer and more "humane". Speaking of character differences, Rooney Mara's Lisbeth Salander is not just less cruel but also more sensitive, not so antisocial as Noomi Rapace's impersonation, more fragile and she even talks. All of these could be attributed to the look of the actresses as well as to the particular vision of each director. The ending of the American release is a bit extended in regard to the events related to Hans-Erik Wennerström, which in my opinion is actually more confusing. Other minor elements are also rendered slightly differently in both of the movies with variable success. Examples are Lisbeth meetings with her former and present mentors, the way Mikael learns about Lisbeth's existence and the pinch of romance expectedly added in the Hollywood version. Despite their distinctions both of the films are good enough to be seen even with the disadvantage of already knowing the main storyline after seeing one of the movies first. Since the Swedish adaptation of The Girl with the Dragon Tattoo possesses a more authentic feel and atmosphere I would recommend starting with it but it is really up to you. In both cases the plot will be kind of spoiled at the time of the second viewing but this is inevitable.